-Bill Cunningham, in Bill Cunningham New York. Bill Cunningham New York was, in my opinion, the sweetest movie of the year. I’m a sucker for documentaries about artists, anyway, but watching a man so genuinely in love with his subject was thoroughly satisfying. One of his peers in the film points out one thing that I think is specific to Bill Cunningham’s “On the Street” feature in the Times: the particular kindness of his camera. 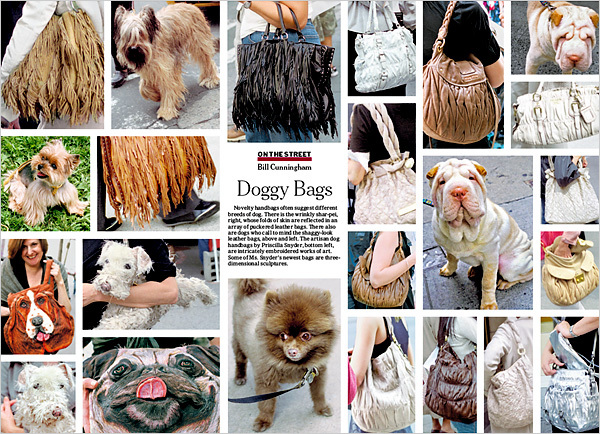 When Bill Cunningham photographs a street fashion trend, it is with a respectful attention, something I think is unusual in the fashion world. So many people like to point at fashion with criticism, as if their criticism is a mark their own superior tastes, but for decades Cunningham’s been documenting the comings and goings of all sorts of styles, and never in such a way that anyone needs to have a black bar plastered over their faces to preserve their anonymity. Everything is interesting, whether one understands it (or loves it) at first glance–or any other later glance, for that matter. Fashion is not a set of rules, it’s creativity, a far more complex conversation than simple “dos” and “don’ts” or “hits” and “misses”. It’s full of texture and color and richness and variety, it can be startling or elegant, make you gasp with its grace or instead with shock, it can baffle and amuse, and for that, I give both Bill Cunningham’s photo career and the film documenting it two thumbs up.